AMC Institute Accreditation is the mark of excellence for association management companies worldwide. CMP Management was awarded accreditation by the AMC Institute, having met the ANSI/AMC Institute Standard of Good Practices for the Association Management Industry. AMC Institute's accreditation program was launched in 2002 after the American National Standards Institute (ANSI) approved AMC Institute's Standard as the standard for the AMC industry. The Standard is the basis of AMC Institute's accreditation program. The accreditation program is a voluntary process that requires written documentation and an independent review verifying that CMP Management meets or exceeds the Standard's requirements. 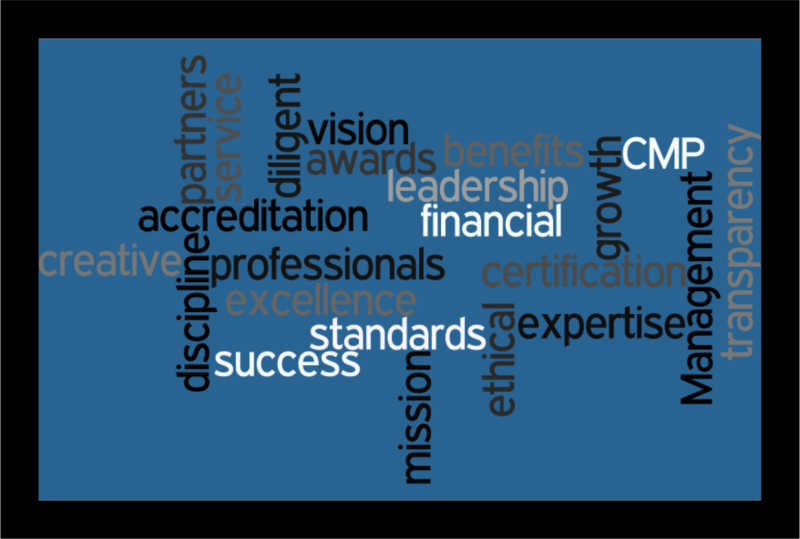 Achievement of this accreditation demonstrates CMP Management’s commitment and ability to deliver service, quality, and excellence while demonstrating a high-level of professionalism and responsibility in all areas of association management. What services does the standard address? For more information about the AMC Institute’s accreditation standards, visit AMC Institute.